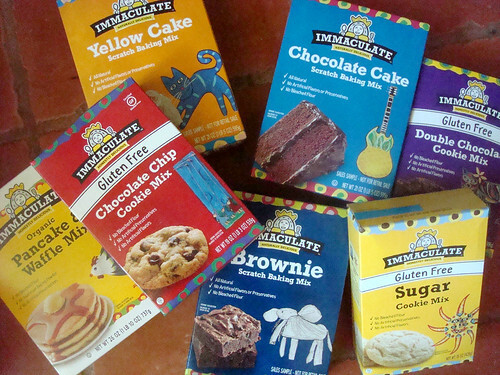 Not so very long ago, Immaculate Baking Company contacted me and asked if I would like to try some samples of their new, fairly virtuous cake mixes. Sure, I said. 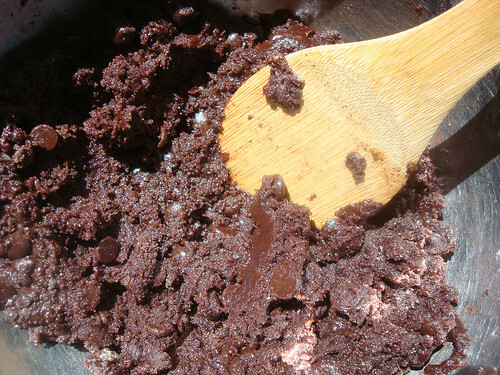 I love cake mix, it's true. I was surprised when not long later, a huge box arrived. 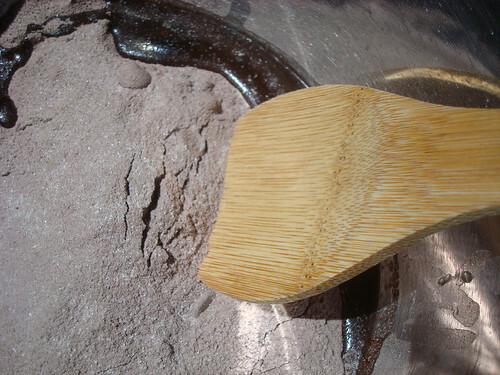 There was a lot of mix coming my way, I could plainly see. But anyhow, I decided to start with cookies. 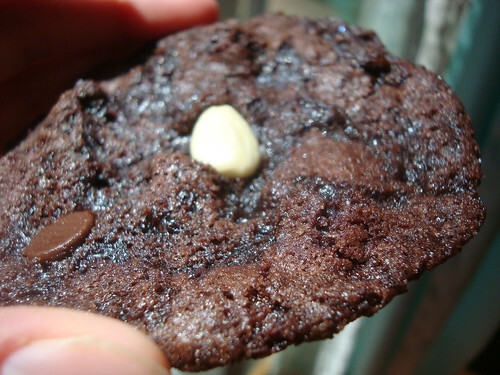 Chocolate cookies, and they were gluten-free to boot. I don't know about you, but I actually get super excited about gluten free chocolate stuff. 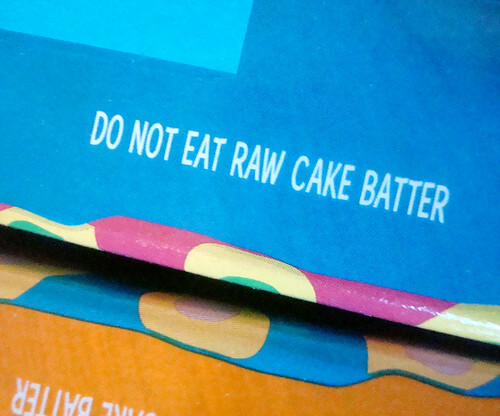 That means there's less "texture" getting in the way of my chocolate experience. So, I added the requisite ingredients (oil, eggs, etc). I mixed it all, and a nice dough formed. I lined a baking sheet and set it up with rounds of dough. Aren't they beautiful? 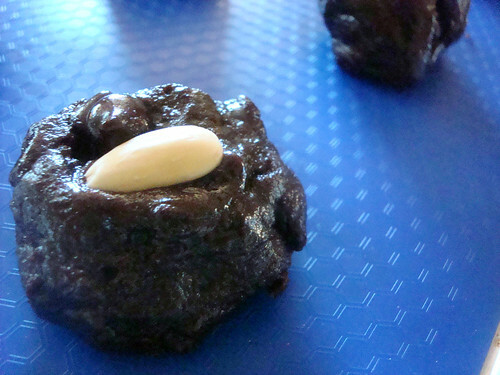 For no particular reason, I added almonds on top of some of them. 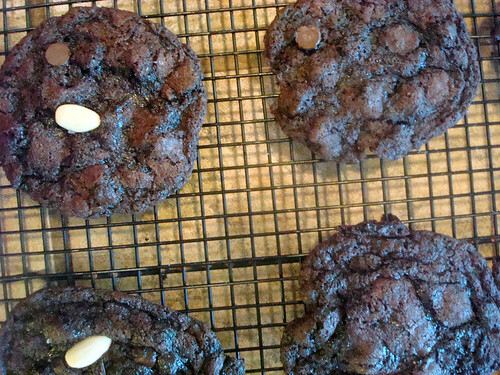 I baked 'em up and here's how they looked. 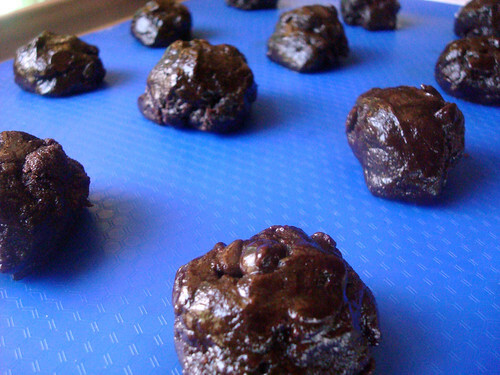 The cookies were VERY soft after baking and tough to transfer until a few minutes had passed, but after 30 minutes on a wire rack, they had solidified and were ready to eat. 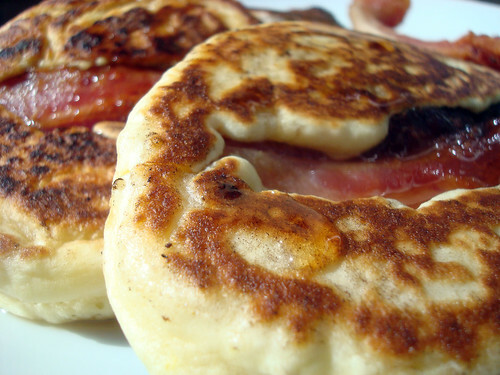 I also tried out the pancake mix as I was developing a recipe for bacon-filled pancakes, and I can't share that one yet, but I can tell you the mix was really quite good. 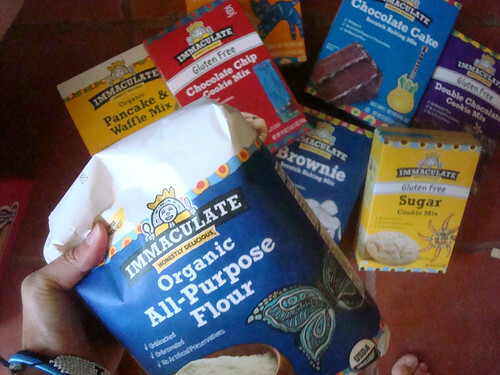 I say that Immaculate Baking Company's mixes are well worth a try--I can't wait to try out the cake mix to make Gooey butter cake! 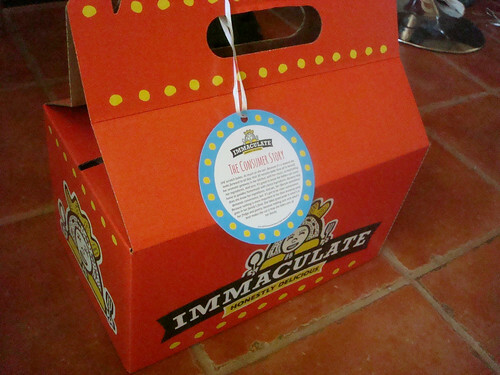 Check 'em out: Immaculate Baking Company.